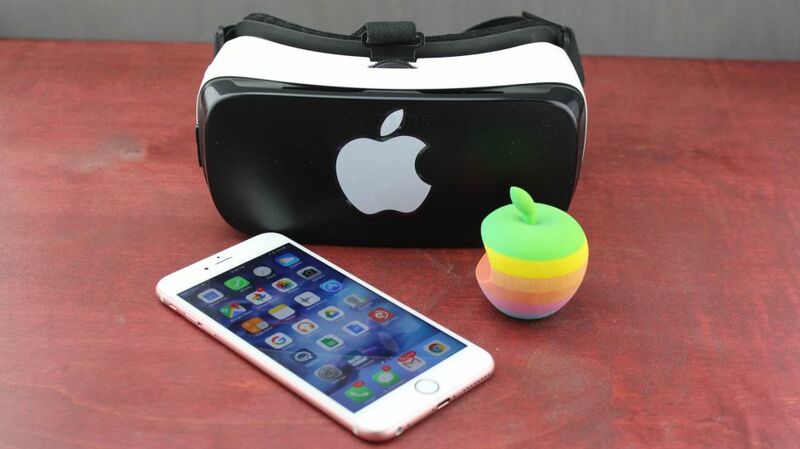 The iPhone, or another compatible smartphone, and a virtual reality headset which works with your phone is a fantastic way to take the first leap into virtual reality. Compared to full virtual reality headsets like the Oculus Rift they can be very inexpensive. You also don’t need a high spec PC or games console. We look at some of the best virtual reality headsets for the iPhone. Virtual reality headsets usually have a stereoscopic head-mounted display which delivers separate images for each eye, and stereo sound. They have head motion tracking sensors which may include gyroscopes, accelerometers and structured light systems depending on the design. Some have eye-tracking sensors and gaming controllers. The first headsets appeared in the early 1990’s, were limited, and described by the creator of games Doom and Quake, John Carmack, as like “looking through toilet paper tubes”. He then led the crowdfunding campaign for the Oculus Rift headset. Before the fundraising was completed Oculus Rift was bought by Facebook for the USD $2 billion. The first Oculus Rift headsets arrived on the market in March 2016. 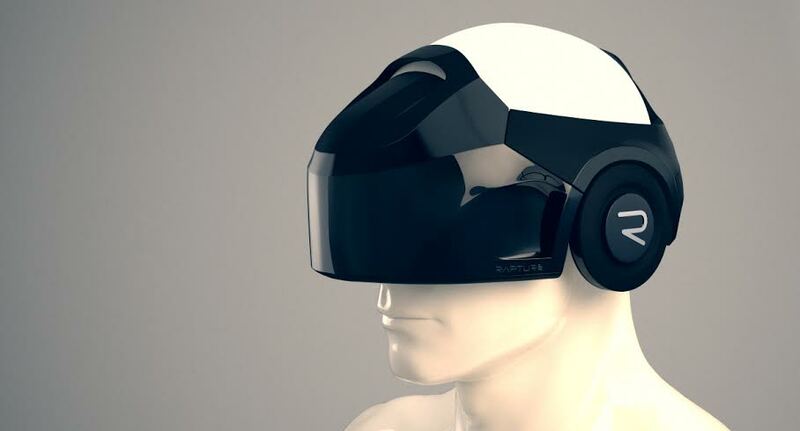 Now there are many virtual reality headsets on the market. Some, like Oculus Rift, work with a PC, or like PlayStation VR, which works with the PlayStation 4. There are also virtual reality headsets which work with smartphones. Your smartphone provides the screen, images, and sound, which is enhanced by the headset and the design of the application you are using. They are much cheaper, but they don’t give a virtual experience quite like the Oculus Rift. Virtual reality on the smartphone or iPhone is described as semi-immersive, and relatively passive. Interactivity is limited to the applications, but you can navigate through eye movements and experience a 360-degree experience that trumps a standard screen. No headsets are offering positional tracking for the iPhone or smartphone market. iPhone virtual reality headsets are a lot less expensive than devices likes Oculus Rift or PlayStation VR, and you don’t need a PC or a console. 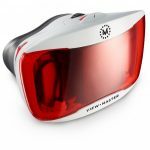 So, they are still an excellent way to delve into virtual reality and access 360 content without spending too much. The quirky Google Cardboard is just that – cardboard! In fact, if you are a little crafty you can follow Google’s specifications and make your own. There is no technology involved! We think it’s one of the best for price alone – who doesn’t like something free, or cheap! You can then run Google Cardboard applications on your iPhone. There are many suitable, free Google Cardboard applications from going on Safari, exploring the stars, to riding ponies and rollercoasters. Compatibility: iPhone and 4-6inch smartphones such as Samsung HTC, LG, Moto and Nexus. Made from foam, hence more comfortable, and less likely to unfold and release your iPhone if you are moving around. If you wear glasses or contacts, Merge VR has a toggle on the side of the headset for focal distance so you might not need to wear your lenses. It’s bright as well as durable so an excellent choice for all the family. It is recommended for Age 10+. You can also attach headphones and expose the camera lens on your phone which will give you a little more functionality in some apps. The Merge VR works with Google Cardboard apps. Compatibility: iPhone 6 or newer, Galaxy S5 and newer, HTC M8 and newer, LG G4 and newer. Carl Zeiss has some experience in lenses, so there is a reputation for quality to explore here. The Zeiss gives a 100-degree field of view. Interestingly for this headset, there is a Magnet Controller available for a further $13 which sticks to the side of the Zeiss VR and allows you to control specific virtual reality apps while your phone is inside. It’s made for everyone, so you don’t need to adjust focus and can wear glasses comfortably too. 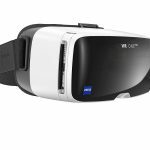 The Zeiss works with Google Cardboard apps and much more will work with the Zeiss VR One Plus. Compatibility: Smartphones with a display between 4.7 and 5.5 inches. Modelled on the View-Master toy first seen in 1939 to display small colour photographs on film in 3D. The View-Master Deluxe is a little more advanced. It has a focal wheel to adjust picture sharpness and its headphone compatible. 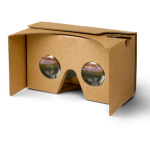 It has some educational apps included and works with Google Cardboard apps. There are some View-Master Experience packs available to order. When you receive your code, you hold it to your iPhone or Smartphone to unlock the content via the View-Master app. The experience packs include wildlife and oceans, and there are Batman and Masters of the Universe titles available for kids. The View-Master Deluxe is bright and cheerful with plenty of kid’s content and not to badly priced. Making it an excellent choice for a children’s gift, but equally suitable for the rest of the family. It might be one to persuade a grandparent to step into virtual reality if they remember the original View-Master toys. Compatibility: iPhone 5 (most) or newer, Galaxy S5 and more modern, HTC One and newer, LG G3 and newer. Samsung Galaxy Note 4 and 5. LG Nexus 5X. Huawei Nexus 6P. Headsets for iPhone or smartphones are simple to use. Tap your app to launch it before securing your iPhone into your headset/viewer. Put on your viewer, or raise it to your eyes, and you enter your virtual experience! The only drawback is you can’t navigate from app to app, or completely control your virtual reality experience. You need to remove your iPhone from the headset to change applications. Are iPhone VR Headsets Compatible With any Other Devices? Yes, many, if not all iPhone virtual reality headsets work with other devices of a similar size and build. Apple is actually a little behind in the virtual reality marketplace right now, though there are rumours they are working on virtual reality technology. There are no release dates right now for any Apple devices. The virtual reality headsets available right now are not made by any of the big names in smartphones. So, they will be good if your phone is the right size and can run the software. If you have a 4-6inch phone, the chances are your smartphone will work well. We’ve tried to indicate the compatibility we know, for the headsets above. When choosing your headset always double check compatibility with your smartphone model! Your smartphone probably should not be older than 18 months old to be able to run virtual reality applications well! 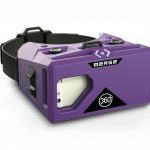 We’ve given a pick of the best virtual reality headsets for iPhone, but there are many headsets available for iPhone and smartphone with new developments all the time. With virtual reality technology improving, so will the headsets for smartphones.